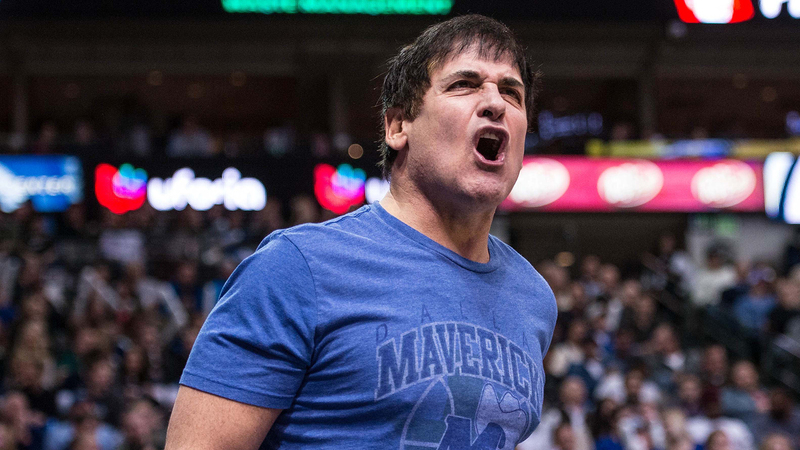 Before David Stern hands over the reigns to Adam Silver, Mavericks owner Mark Cuban wants a parting gift from the longtime commissioner — in the form of another fine. "We talk about it all the time," Cuban told ESPNDallas.com. "I’m going to have one final fine before he leaves." Since becoming the owner of the Dallas Mavericks in 2000, Cuban has been fined 19 times for a total of $1.8 million, but he is determined to make it an even 20 fines during Stern’s tenure. According to ESPNDallas.com, 13 of Cuban’s 19 fines are a result of criticizing officiating, and during the Mavericks’ Wednesday night loss to the Clippers, he may have gotten his wish after complaining about a foul called on Shawn Marion. If that particular incident didn’t get Cuban his coveted fine, the Mavericks still have eight games where he can cook something up, but Stern isn’t so confident he will be able to do enough to shell out more fine money. "I know he is trying," Stern told ESPNDallas.com. "But our muffin fund coffers are overflowing." Though Cuban and Stern have had their disagreements over the past 14 years, the Mavericks owner has nothing but respect for the departing commissioner. "One reason that I truly respect David is that he followed the rules," Cuban said. "He didn’t want to be king. He wanted to be successful and make the NBA successful. He was less concerned with his legacy than with creating results for the NBA. He knows that the results will stand the test of time and define his legacy."